After 28 years working for the Colorado General Assembly, Dan Cartin has left the building. This past Tuesday, he quietly said goodbye to his friends in the OLLS and headed into retirement. But it’s not what most of us would consider retirement—starting this fall, Dan will teach eighth grade social studies for a private K-8 school in Denver and will serve as the school’s athletic director. Dan started with the OLLS in 1989 as a staff attorney, drafting bills in the areas of education, taxation, and state and local government. During the next 10 years, he developed expertise in the areas of elections, campaign finance, and state personnel law; his skills as a drafter were in high demand. Dan was also dedicated to customer service. As a drafter, he reached out during the interim to each of the legislators he had worked with during the preceding session, and sometimes, after working together, legislators requested Dan to draft all of their bills. In 1999, Dan was promoted to management. He became team leader of the Government team, overseeing seven attorneys and four legislative editors. His team drafted in the areas of tax policy, state and local government, transportation, elections, appropriations, and capital development, among other things. Dan was a strong advocate for his team and an excellent mentor, and he worked to build a robust esprit de corps. In 2004, Dan was promoted to deputy director, and after five years in the deputy position, the Executive Committee appointed Dan to serve as director of the OLLS. 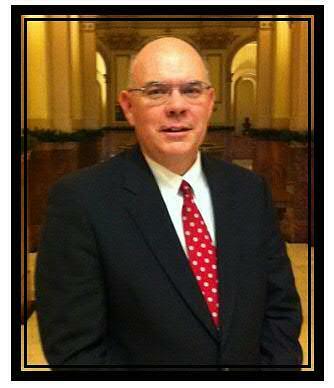 As director for the last seven years, Dan has been an excellent and trusted advisor to legislators. And under his leadership, the OLLS has maintained and even improved its reputation for excellent service to the General Assembly. Dan was a strong leader within the office, committed to his employees’ growth and success. He created an office advisory board to provide greater leadership opportunities for OLLS employees in setting office policies and implementing new ideas. He enthusiastically supported the creation and development of the LegiSource. And he was a strong advocate for professional development opportunities for employees. Dan considered his greatest challenge as director to be ensuring everyone in the OLLS had opportunities to grow professionally and gain added responsibilities. Dan’s success in this area is clear: Of the 25 attorneys employed in the OLLS, only two have been with the office fewer than five years; only four have been with the office fewer than 10 years. But Dan was always first and foremost a legislative attorney. He considered it a treat when, as director, he had the opportunity to write a legal opinion or contribute to a bill draft. His top priority, both as drafter and director, was strengthening and preserving the institution of the General Assembly. To that end, he was constantly aware of protecting the nonpartisan reputation of the office, avoiding situations and actions that could create even the perception of partisanship. In 1996, Dan assisted former Director Doug Brown in developing the OLLS’s position statement identifying the institution of the General Assembly as our client. While it may not sound impressive, it is this position that guides attorneys in the office in providing advice to legislators and in avoiding the innumerable conflicts of interest that could arise if we were not clear and sure as to whom we represent. Over the past 20 years, several legal legislative staff agencies around the country have reviewed this position and adopted the approach of serving their state legislatures as an organizational client. Dan’s colleagues in the office and legislators and colleagues outside the office will greatly miss his legal skills, experience, steadiness, easy camaraderie, and thoughtful advice. Good luck with those eighth graders, Dan—they don’t know how lucky they are!